The Avalon Media System is an open source system for managing and providing access to large collections of digital audio and video. The freely available system enables libraries and archives to easily curate, distribute and provide online access to their collections for purposes of teaching, learning and research. The Avalon Community is made up of a dozen educational, media and open-technology institutions. The project is led by the libraries of Indiana University Bloomington and Northwestern University and is funded in part by grants from the Institute of Museum and Library Services and the Andrew W. Mellon Foundation. Leverage other open-source higher education projects such as Samvera and Opencast Matterhorn. In 2010, Indiana University conducted a survey of academic libraries' current practices and future aspirations regarding video-streaming technologies and services. As reported in a presentation at the 2010 EDUCAUSE Conference, the research found that academic libraries are increasingly involved in streaming video content in support of pedagogy and research. As this infographic shows, the Avalon Media System is tailored to the needs of libraries and archives, providing much-needed media management capabilities in support of teaching, learning and research. Avalon is a follow-up product to the Variations Digital Music Library, an open-source system developed at Indiana University and employed since 1996 in various forms. Variations was also used at approximately 20 other institutions, primarily for streaming music course reserves. The first working version of the Avalon Media System was released in the spring of 2013. Audio content from Indiana University's instance of Variations was migrated to Avalon in the summer of 2016, with the full retirement of IU's Variations occurring in early 2017. 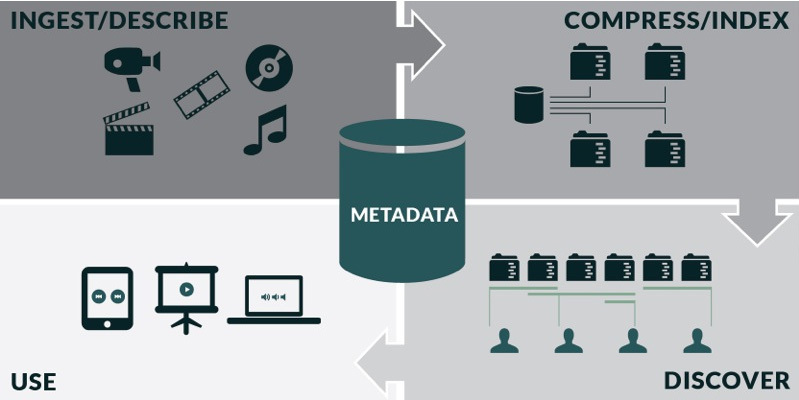 The Avalon Media System continues to receive additional features and improvements as part of its development process, and has been adopted by numerous other institutions as the access solution for digital audio and video collections.